Customize your character and choose your skills. Get ready for a true open world MMO experience. 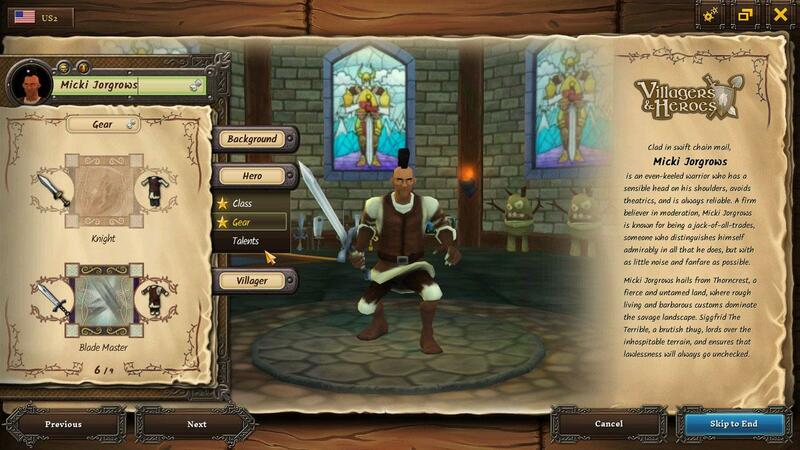 Villagers and Heroes is an MMORPG set in a fantasy world, it offers great amounts of customization and freedom. Its economy would be run by players as players can have different jobs with a robust crafting system and a house system. 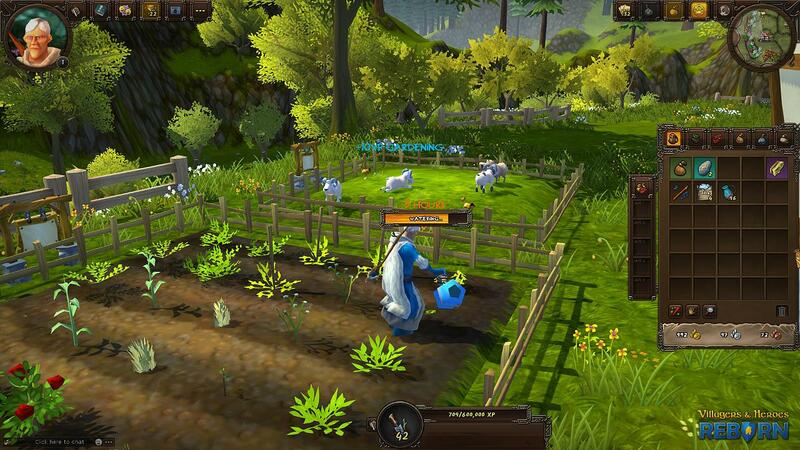 The game focuses more on crafting and community building and comes with tons of quest and voice acting. Players start off with a variety of customization options. They can choose their race, gender, height, face shape, hair style, hair color, eye color and even their character’s personality. Players will also be able to choose their profession and their house which will also yield bonuses and as well as their character class that would suit their style. You would start off in Ethos Island, the tutorial area, wherein players would learn the basics. Players move using the WASD keys and the mouse to look around, same as other MMORPGs. Then they will able to reach the next town in order to learn more on the basics. The game is story driven and it also comes with full on voice acting. The story is interesting as it really makes you seem part of an actual community. There are tons of NPCs with unique personalities and tons of quests to do and discover. The first few levels will be a bit slower as many of the game’s features are level-locked. This is really helpful to give players time to learn all the games’ features and mechanics and as well as to not overwhelm players as the game does come packed with tons of features, which is pretty good for a free to play game. Players will become stronger and can unlock more features as they level up, this may take a while but crafting and gathering skill levels can be gained faster. There are tons of new ingredients and recipes to unlock as you progress through the levels. Talent points gained through leveling up can used to unlock passive and active skills. Players will have the freedom to choose any build that they want. Some skills will also require more talent points to reach higher levels and some upgrades are also level locked which would make leveling up more rewarding. Villagers and Heroes focuses on crafting and community, although players will have unique perks during character creation, you will be able to master all ten gathering and crafting skills. These skills would let players collect useful items that they may also use in order to craft weapons, armors, food and other consumables that provide bonuses. 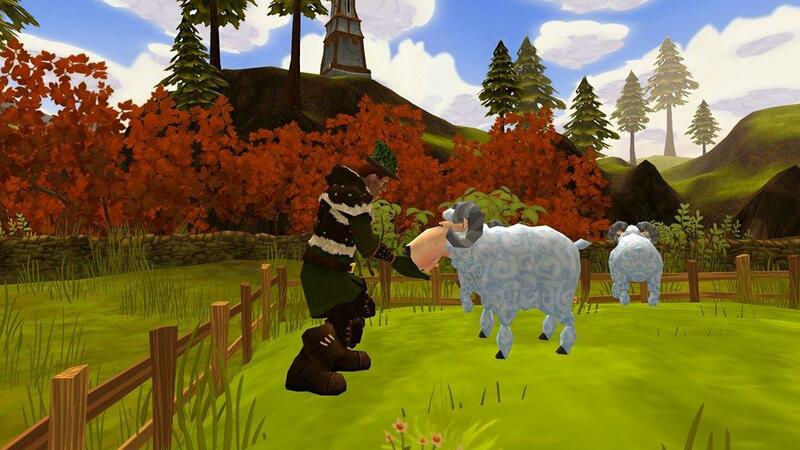 The game also comes with gardening and ranching which would allow players to grow crops that they can use for cooking and feeding animals and as well as produce various items that they can also sell or trade. Houses grant players various bonuses and as well as a place to store items and a private place to relax. Villagers and heroes seems to be a fully customizable game as players may form their own villages and can even have their own mayor to help run the town. You can gain new benefits as your Village progresses and you may also add new buildings such as crafting stations and areas that provide new quests. Villagers and Heroes comes with a lot of content to unlock and offers a great deal of customization. Players will have a true sense of community as they work together and build and improve their own village. You will be able to enjoy hours of fun and you may even play this forever as it may prove to be a very good virtual life. Enjoy your quests and craft your own story. Try it out for yourself, it is free to play on Steam.